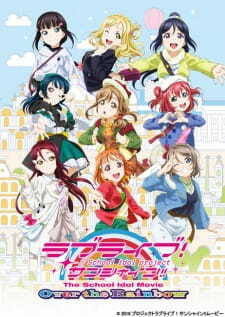 A sequel to the main series and follows the Aqours girls as they prepare to enroll at a new school. While the first and second years run into some unexpected trouble, the third years end up going mysteriously missing on the way to their graduation trip. Separated, the girls begin to realize the value of their friendships as they attempt to find a solution to their various crises. When will I be able to watch? Poll: Best Song & Performance in LL Sunshine! Movie Over The Rainbow? ?